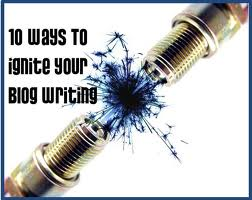 Here's a link to you to an article on Kludgy Mom called "10 ways to ignite your blog writing". I enjoyed it and thought you would too! Thanks for this useful information. good contents in the blog play an important to get good traffic for your blog in search engine.